Make sure your kids stay happy and hydrated throughout their long school days when you give them a unique Personalized Owl Water Bottle for back to school! Free personalization of any name is included. Additional Details Your kids have long school days ahead, and they're going to need a back to school gift that will keep them happy and hydrated. 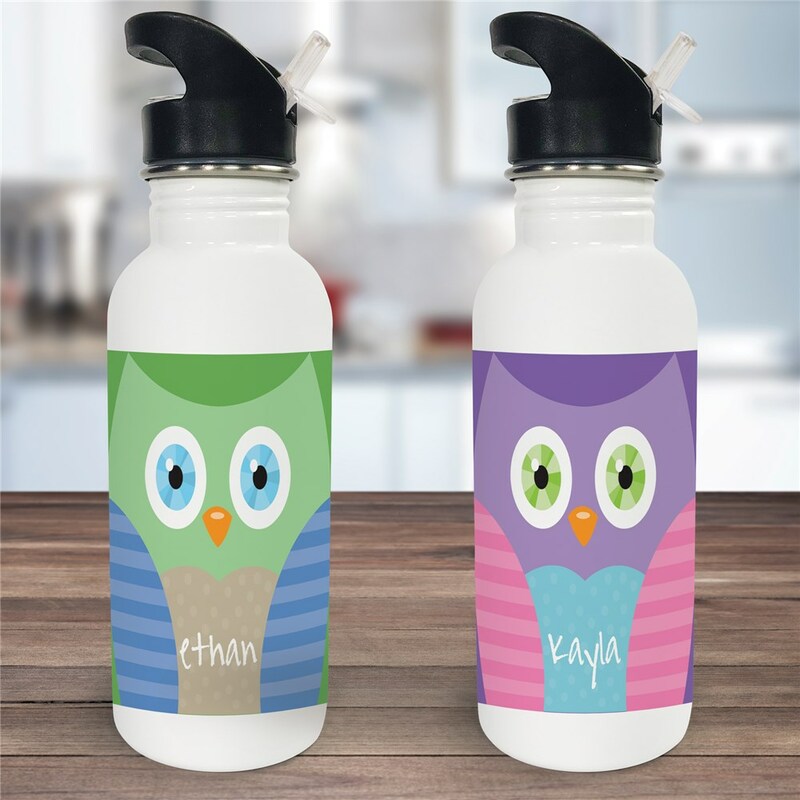 Our owl water bottles will do the trick and have an adorable design on them to boot. Get one for your young student now!